The San Diego County Board of Supervisors unanimously approved a deal with the Viejas Band of Kumeyaay Indians Wednesday to allow the tribe to build a second hotel tower and an additional gaming area at the Viejas Casino in Alpine. 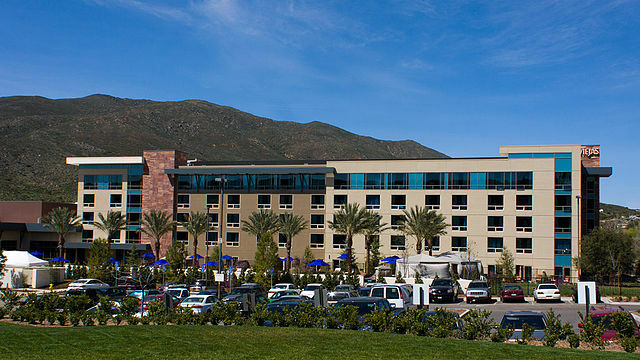 The agreement clears the way for a six-story, 128-room hotel tower that will feature a 16,500-square-foot gaming area to replace the roughly 20,000 square feet of gaming that was removed two years ago during construction of a hotel on the Viejas Reservation, adjacent to the casino, according to the county. “I want to particularly recognize and applaud the Viejas Band of Kumeyaay Indians for their efforts and dedication to work with the county and the community of Alpine to mitigate impacts from developments of the reservation,” board Chairwoman Dianne Jacob said. The tribe will be required to make a one-time $150,000 payment to the county to offset impacts to off-reservation lands. Jacob said the funds will go toward a safety analysis of Willows Road, on which the casino sits, and a yet-to-be-determined project in the Alpine community. The new version of the Amended and Restated Intergovernmental Agreement includes mitigating measures for groundwater resources, like using low-water landscaping in areas not irrigated by water reclaimed by wastewater treatment facilities, along with directives regarding light pollution, air quality and fire protection.